Kentuckiana Moving LLC is the #1 Affordable Local & Long distance moving Company in southern indiana. Kentuckiana Movers main branch is based in New Albany, Indiana 47150. Our branch of new albany movers supplies a team of 12+ young professional local & long distance movers that are background checked, trust worthy, and responsible. We are able to pay our movers 30% above the national average and charge 35% below the average moving company price by operating locally & smart. As well as coordinating Local & Long Distance moves for the Customers benefit, not ours. Which means you get various options for your move to keep the price in your budget. Rated #1 Movers in Southern Indiana, we know the expectations of our customers and we have exceeded them on 98% of our jobs in 2016 & 2017! Our mission in Southern Indiana is to provide Young Professional Furniture Movers to Relocate your Office, Business, House or Apartment around the Jeffersonville, indiana, Southern Indiana and Kentuckiana areas professionally, carefully and efficiently. Our local furniture movers are full-time employees that are trained to safely Wrap, Pack, and Load your valuables without a scratch on your walls or furniture. Featured on Thumbtack, Hireahelper, Google, Yelp, and Facebook. 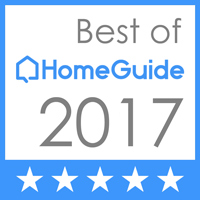 We are leading as the top moving company in Southern Indiana by Reviews! Ask us about our Estimate Sheets! We Provide all essentials for moving! (Moving Blankets, Dollies, Shoulder straps, Fore-arm straps, every type of tool imaginable, and most importantly; Young, Professional Movers! We can Disassemble/ Reassemble every type of furniture including IKEA. (Tables, chairs, beds, desks, dressers, or cupboards. We do not add any additional fees unless pre-arranged agreements! Are movers are Professional, Respectful, and Young. We are solely based on making our customers happy and stress free! Why Kentuckiana Moving is your #1 Choice for Movers! We are leading as the #1 Movers in Jeffersonville, New Albany & the whole Southern Indiana by reviews on all of our affiliated websites. All Kentuckiana Movers are background checked, Physically capable college students that are full time Movers. As your Southern Indiana & Kentuckiana Movers we guarantee upfront pricing and no HIDDEN FEES. The difference between a Kentuckiana Mover and the other movers? We care for your budget and your belongings. A lot of companies love to milk the clock and take advantage because they have all day. Kentuckiana Moving doesn’t, we want to get it done as fast as the customer wants us to get it done because 9 out 10 times we have another job to do!